We love cartoon Zoella, as she it so bubbly and full of energy. 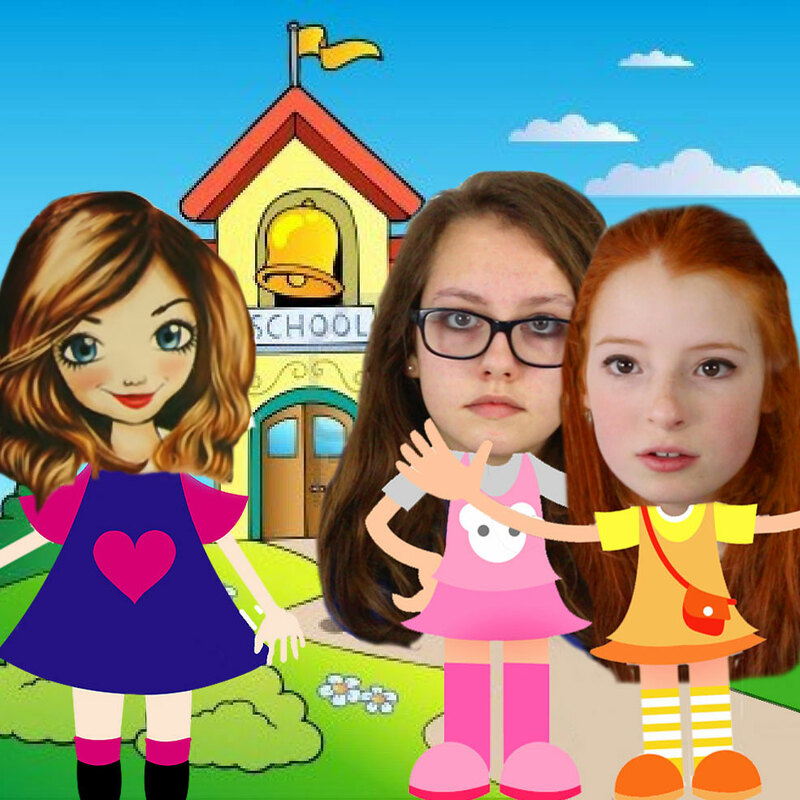 In our cartoon world, Nia and Liv often like to hang out with Zoe Sugg and here you can see the girls walking home from school together, talking about make-up, nail varnish and general beauty products. Cartoon Zoella is always a very interesting person to chat to, because she leads such an interesting life, making videos for YouTube, writing books about pretend people using YouTube, and promoting her line of beauty products through various social media sites, such as Instagram and Twitter, and YouTube of course. Zoe was telling Nia and Liv about her latest 'Kissy Missy' lip balm that is currently for sale in Superdrug, as well as her 'Candy Cream' body lotion and 'Scrubbing Me Softly' body scrub, not to mention her 'Fresh Fizz' bath bombs and 'Frosted Vanity Case'. It all sounded good enough to eat. Mmmmm.